Warm days and outdoor settings make summer parties a breeze, especially when you take your inspiration from the colors of the rainbow after a quick refreshing rain. What could be more fun than a painter’s palette of fresh colors for table linen and napkins, as well as for food, flowers and tableware? A rainbow party calls for a lighthearted decor scheme that is playful and sophisticated at the same time! 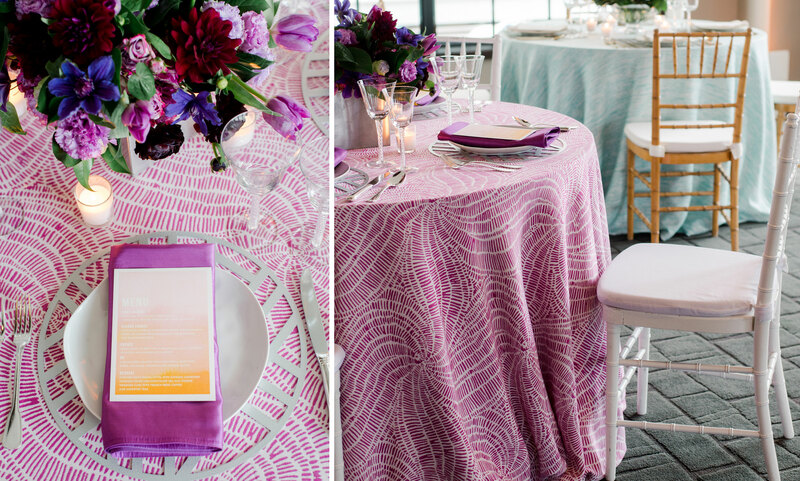 A colorful mix of patterns and colors will add excitement to any event. Pick favorite tones and accessories as unifying elements, and complement the vibrant tones with white to allow the colors to shine even brighter. Rainbow colors will unify your theme in a uniquely spirited manner–like seeing the world through the eyes of a child! 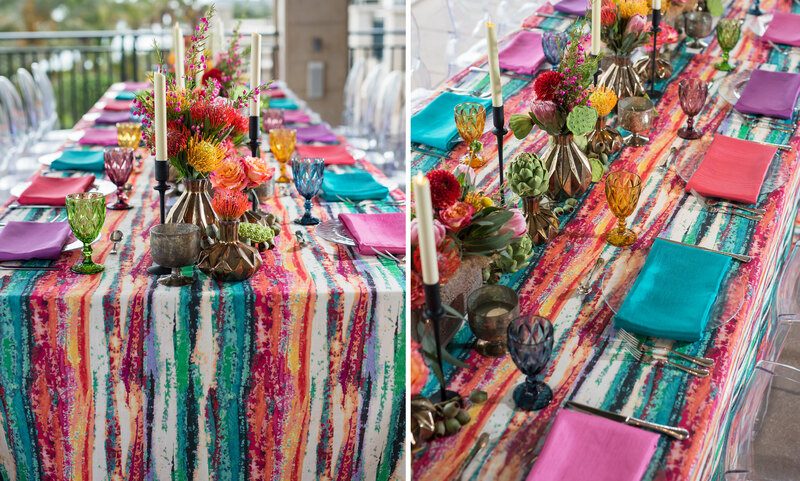 Try any of the linen in our Kaleidoscope collection to create this colorful look! Summer menus should be as colorful as the table settings. Take advantage of the season and key your choices to delicious colors: Red and purple berries; red, orange and pale green melons; green, yellow and red apples, lemons, limes and oranges. Elicit squeals of delight from young and old alike with rainbow popsicles, decorated and colorful cream pies and vanilla ice cream topped with rainbow sprinkles. Mediterranean-inspired dishes will also complement your rainbow decor: Pasta with marinara sauce, colorful green and black olives, antipasto, and grilled meats and vegetables. What a wonderful season for a party! Simulate a bright rainbow by picking napkins in vivid, saturated crayon bright tones, or be a little bit demure by creating gradations in tones from pale to dark. 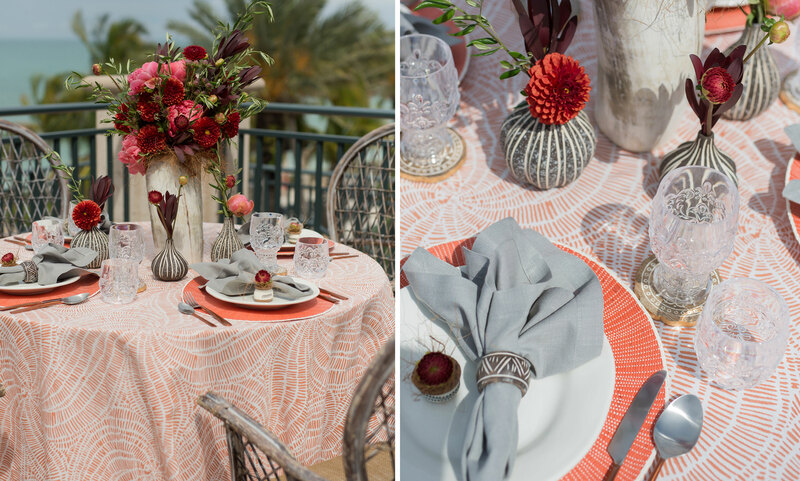 Coordinate creamy yellow linen with napkins that range from lavender and pale blue to deep purple and navy, or highlight a pale table runner with accessories in tones from bright tangerine to palest peach. 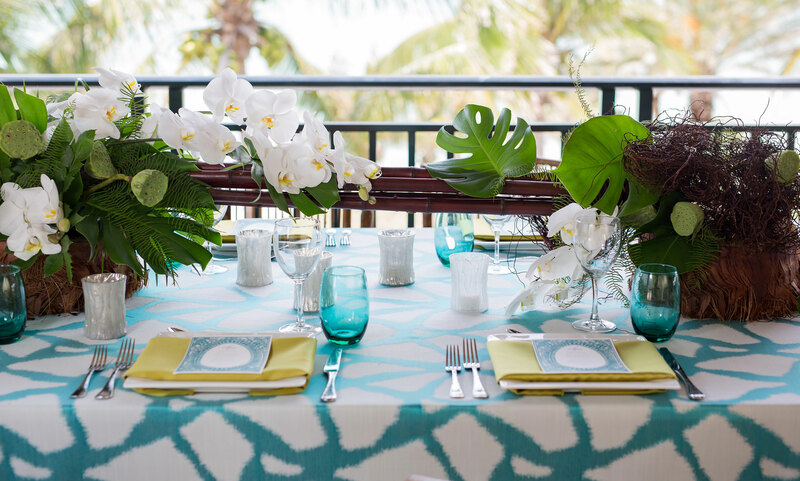 Have fun with color whether you match up your linen at individual tables or scatter colors like wildflower seeds. Rainbow colors never clash; instead they provide instant sunshine and smiles! Question: How many colors in a rainbow? Answer: As many as you can imagine! 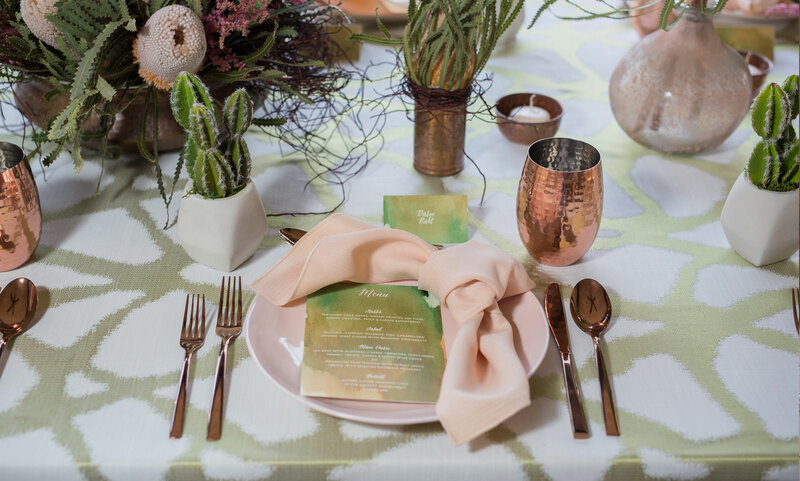 One of the best ways to celebrate summer is to pick a variety of colors that you love and sprinkle them with abandon on the tabletops and as accessories at your event. 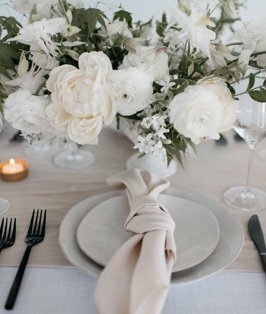 Coordinating centerpieces can be mixed blooms or simple white flowers. 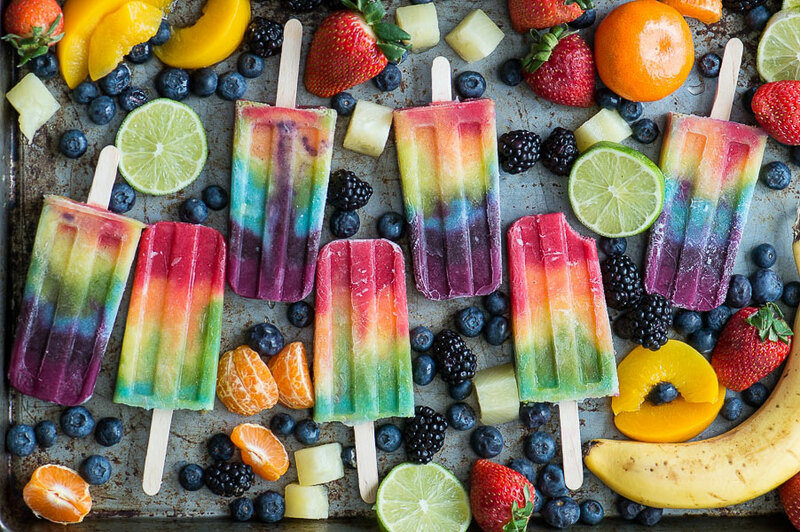 Really, no matter how you color it, you’ll have an instant summer celebration. It’s a look we love! 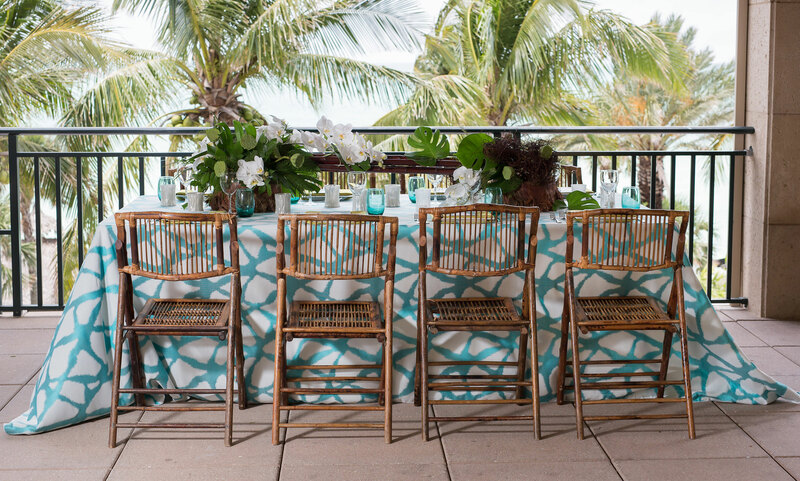 Setting a summer table is easy when you rely on the beautiful linen in BBJ’s coordinated collections of table coverings, runners, napkins and decorative drapes. The stunning Kaleidoscope Collection is a perfect starting point for color and patterns to enliven any summer celebration. Build on your theme with exotic blooms or a simple mix of colorful blossoms, greenery and some glittery, unexpected accents. Summer is a time to pull out all the stops and add a double measure of fun!